Would be so excited to win this! I would love this gift card! I have a baby coming in 10 days and we will need plenty of diapers! I already like Totally Target on Facebook, which is how I found this! Thank you and Happy Holidays!! Of course I already like TotallyTarget!!!! 🙂 I have saved a lot of money with your posts on the great deals! Liked you on facebook! Thanks for the giveaway! I have liked Totally Target for a while. What a cute gift card. 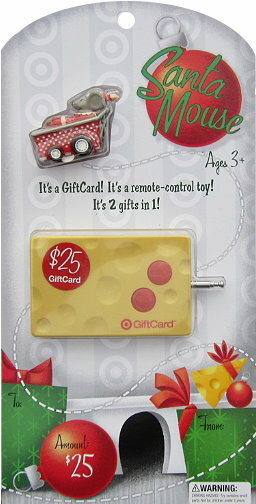 Would love this Target Gift Card!! I like TT on Facebook!! Could use a little more money for Christmas. Already like Totally Target on FB! I like you on FB. Thanks for the giveaway!!! Thank you for the chance! I <3 Target! I would love to win the gift card… keeping my fingers crossed!!!! This would make the holidays a little more bearable. Thanks for all your hard work and awesome giveaway! Thanks for another chance to maybe win! That is so stinking cute!! I follow Totally Target on Facebook! I love Totally Target AND a portion of the amount I spent at Target goes to my child’s Catholic school. Thanks totally target!